Type 2 diabetes and heart disease (cardiometabolic disease) affect increasing numbers of relatively young people in low- and middle-income countries (LMICs). Current preventive strategies focus on weight reduction and diet restriction in those with existing risk factors and benefits individuals. Our research explores the potential for intervening in early life to reduce vulnerability to cardiometabolic disease in later life and future generations. We have shown that maternal undernutrition, low birthweight and poor infant weight gain, are associated with poor childhood growth, reduced cognitive function, and an increased risk of low birthweight and stunting in the next generation (figure, left hand circle). 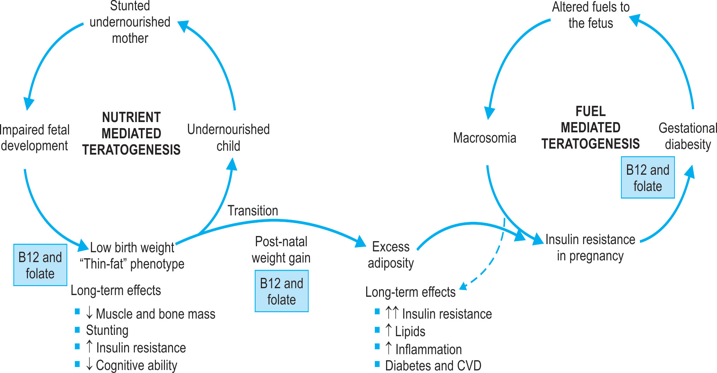 If early life undernutrition is followed by excessive weight/BMI gain later, there is an increased risk of type 2 diabetes and cardiovascular disease (figure, left to right arrows). In women, a combination of early life undernutrition and later BMI gain increases the risk of gestational diabetes, and also increases the risk of adiposity, insulin resistance and diabetes in the offspring (figure, right hand circle). 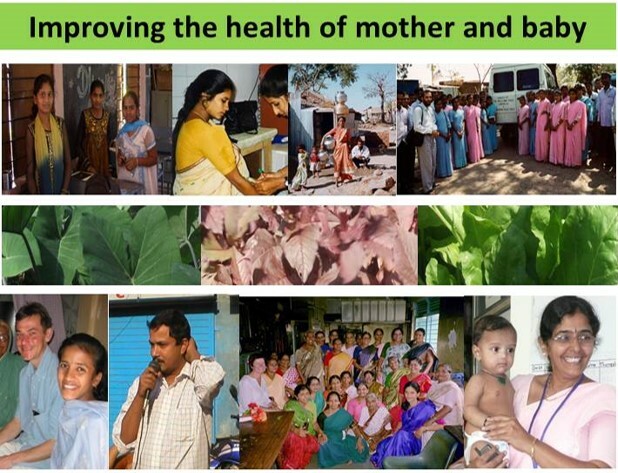 Both cycles of ill health may result from epigenetic changes originating in utero and persisting into later life, and may explain the rise of cardiometabolic disease in countries making rapid economic progress on a background of undernutrition. We have now moved on to nutritional supplementation intervention trials before and during pregnancy, giving special emphasis to nutrients in the 1-C pathway.